1 tbsp fish sauce, taste for saltiness, if not enough salt add more. Heat wok add olive oil and add beef, chillies and garlic stir fry for about 3 mins season with half of the oyster sauce and fish sauce. 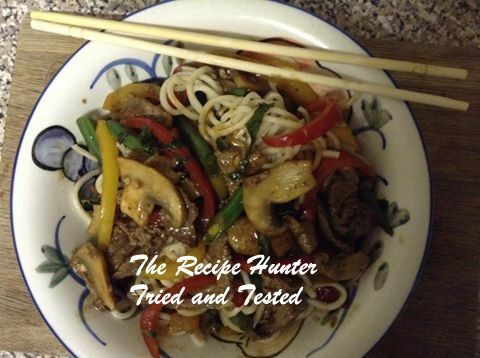 Remove meat from wok, set aside, add peppers, mushrooms, green beans and the remainder of fish sauce and oyster sauce and stir fry for 3 to 4 mins. Add meat back to wok and add your chopped basil.